If you want to enhance your home’s protection against severe weather while also improving its curb appeal, a storm door from Compozit Home Systems might be just what you are searching for. 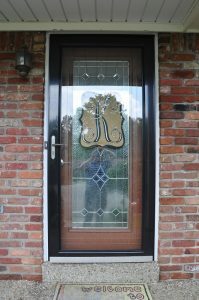 We’re a family-owned home improvement company that installs custom storm doors on homes throughout the Louisville, Kentucky area, and we can help you choose the perfect option for your home. What Purpose Does a Storm Door Serve? At Compozit Home Systems, we’ve been providing home improvement services since 1982 and our commitment to customer service has helped us maintain an A+ rating with the Better Business Bureau for many years. We install durable Compozit storm doors that feature reinforced aluminum frames with insulated panels, as well as wind-resistant overlapping frame systems and heavy-duty hardware. They are also available in an array of paint finishes to make it easy for you to complement the look of your home’s front door. Call Compozit Home Systems today if you’d like to schedule a consultation at your home in the Louisville, KY, area. We’ll be happy to discuss the benefits our storm doors could provide for your home.